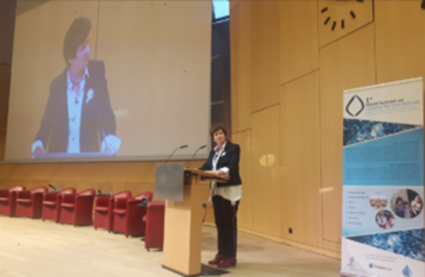 Home » Category: "SWP Member News"
The registration for the CAS on Water and Governance: Frameworks and Negotiation is now open. The management of water resources faces environmental, climatic, political and economic challenges. In this changing environment, innovative policies should be designed to foster collaborations between States, the civil society and the private sector. To this end, practitioners and decision-makers need to develop new analytical skills. The Institute for Environmental Sciences of the University of Geneva launches the third edition of the certifying Summer School in “Water Governance: Framework and Negotiations”. This two-weeks training is aimed to deliver skills and knowledge based on the latest scientific research that are applicable in professional contexts. Participants will learn how to use water governance tools to address complex political situations, be resilient when a crisis strikes, and innovate in the face of risk and uncertainty. In addition to the on-site classes given at the Summer School, a MOOC in Water Management and Policy is offered to the participants on the Coursera platform. Completion of the MOOC (ideally prior the Summer School) and of a final thesis are required to obtain the Certificate of Advanced Studies. 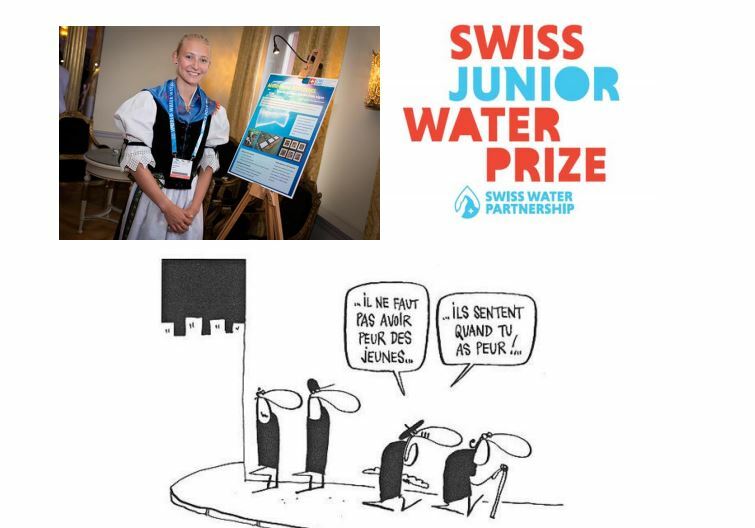 2018 was an inspiring and successful year for the Swiss Water Partnership (SWP) filled with many highlights and high international exposure! The participation at the 8th World Water Forum and the World Water Week further strengthened the Swiss voice, while the publication of the youth strategy, the first learning event and the preparation of a pilot project on blended finance are concrete actions that have intensified cross-sector collaboration and learning, providing space for critical reflections and discussions. They show the dynamism and development of the platform. On a global level, special attention was given to the SDG 6 on water and sanitation goal at the High-Level Political Forum in New York, where all SDGs are being reviewed annually. 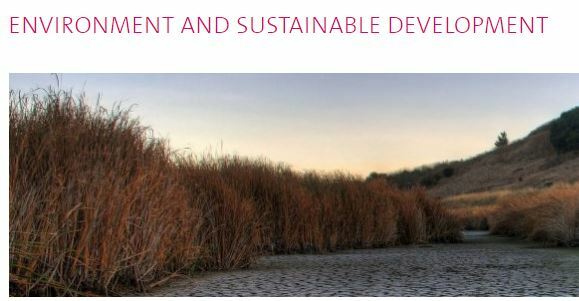 This resulted in the publication of the of the SDG 6 Synthesis Report 2018 on Water and Sanitation, which was produced by UN-Water to provide input to Member States on this goal and ensures the implementation of the Sustainability Development Goals. It is widely recognized that massive financing is needed to close the financing gap to meet the SDG’s. The question is how to attract more private investments in the water sector knowing that many projects are hardly bankable and their access to market-based repayable finance is limited. Comforted by the interest of its members, the SWP developed a blended finance concept to diversify financing channels and create added value to its members. Innovative revenue mechanisms are at the centre of the concept that will be piloted in the coming years. Partnering with key actors is crucial for the SWP to create impact. Besides relying on its members, the SWP continued to establish and foster collaboration with key stakeholders such as, Development Banks, World Bank and the World Water Council. Thanks to all members for joining hands towards a water secure world – the diversity of the SWP members makes its strength and wealth! Read the SWP Annual Report 2018 here. Learn more about the SWP Action Plan 2019-2020 here. 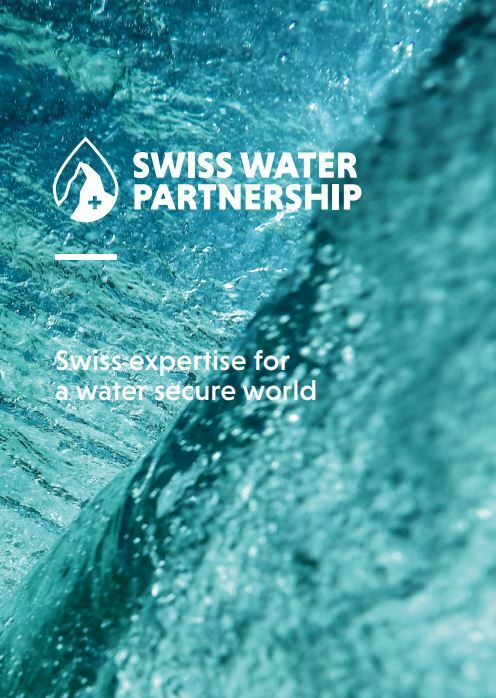 The Municipal Environmental and Economic Governance (MEG) Project supported by the Swiss Agency for Development and Cooperation in Bosnia and Herzegovina is looking for a Swiss expert in the field of the organizational development and asset management of water utilities, as well as water tariffs setting, who could present Swiss experiences and best practices in this field at the MEG project conference in September 2019 in Bosnia and Herzegovina. The upgraded Water Risk Filter 5.0 empowers users to explore, assess, and now respond to water risks! With the new Respond section, the Water Risk Filter will dynamically link your risk assessment results to provide a customized set of recommended response actions. Whether you want recommendations for 1 site, 10 sites or 1000 sites, the Respond section can offer tailored response actions at just the click of a button. Given all the diverse physical, regulatory and reputational water risks facing businesses around the world, WWF developed over 150 different response actions. The Water Risk Filter offers up to 50 actions available online. For a comprehensive and tailored set of recommendations, contact WWF Water Risk Filter team to receive a complete range of actions along with expert guidance to better address your water risks. All 150 actions are aligned to leading water stewardship frameworks, such as the CEO Water Mandate Water Stewardship Toolbox, Alliance for Water Stewardship Standard, CDP Water Security Questionnaire, Ceres Aqua Gauge, UN Sustainable Development Goals. Already a trusted online tool for corporate water risk assessment, the upgraded Water Risk Filter will guide users along their water stewardship journey from assessment to response to water risks. Contact WWF Water Risk Filter team, waterriskfilter@wwf.de, to receive tailored and expert support with your water risk assessment and recommendations to address your water risks. “whoever you are, wherever you are, water is your human right”. Please access the updated SWP Member Brochure 2019 HERE. Gemäss den Vereinten Nationen haben über 800 Mio. 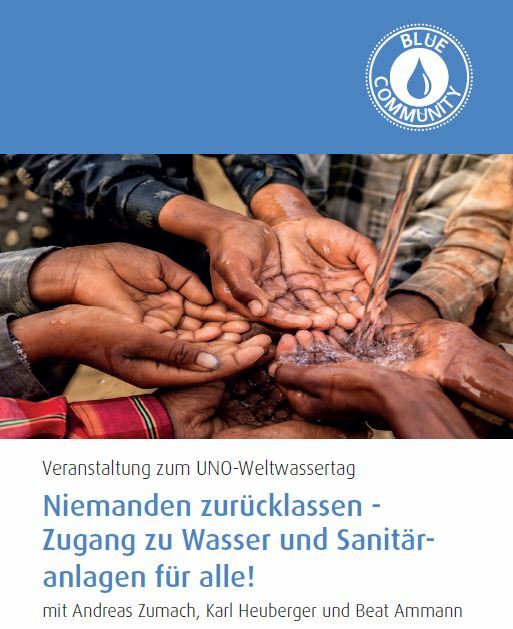 Menschen oder drei von zehn Personen keinen elementaren Zugang zu sauberem Wasser. Weit mehr Personen fehlt der Zugang zu Sanitäranlagen. Besonders stark betroffen sind Flüchtlinge, Frauen und Kinder, Indigene und andere marginale Gruppen. Diese besonders verletzlichen Personen stehen im Fokus des diesjährigen Weltwassertags. 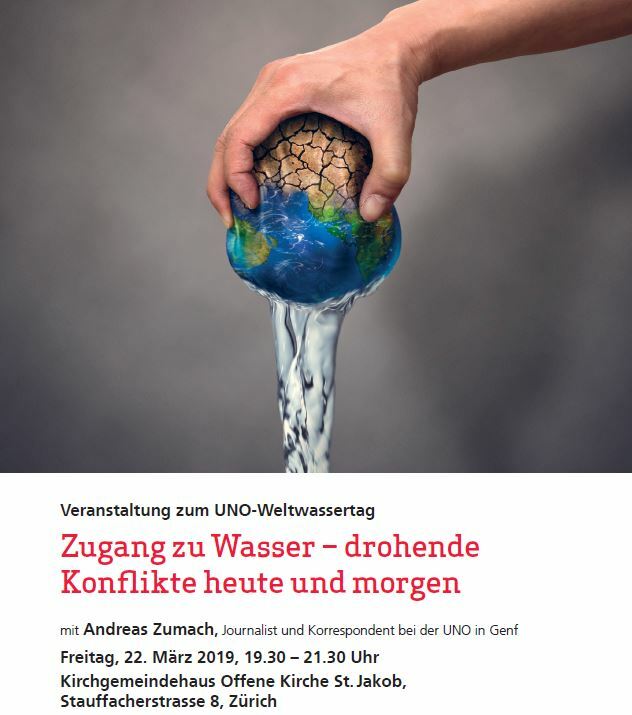 An der Veranstaltung zum Weltwassertag wird der bekannte Journalist und Korrespondent Andreas Zumach die globalen Herausforderungen rund um den Zugang zu Wasser und Sanitäranlagen aufzeigen. Zudem erklärt Karl Heuberger von HEKS, wie die NGO diese Herausforderungen konkret angeht. Nebst der globalen Perspektive wird an der Veranstaltung auch aufgezeigt, welche aktuellen und neue Herausforderungen in der Siedlungshygiene in der Schweiz bestehen. Beat Ammann, Direktor der ARA der Region Bern, wird dazu die lokale Siedlungshygiene vorstellen. Anmeldung: Eine Anmeldung ist erwünscht unter www.bluecommunity.ch/weltwassertag. Mehr Informationen: Flyer HEKS Event in BE, Weltwassertag 2019.